My workshop is a 5x7m colorbond garage, with a large roller door and a large sliding door. Even though I have only been woodworking since 2004 I have still managed to fill it up with crap tools. Because of the limited space, I have made my timber rack, workbench, bandsaw, combination machine and drum sander mobile. All my hand-tools, finishes and consumables are either wall hung or in cupboards for easy access and to free up as much floor space as possible. My main workbench is basically a solid core door with dog holes on a 2×4 frame sitting on lockable castors. My most used clamps are mounted on the rear of the workbench so no matter where i am they are close by. The heart of the workshop is my combination machine. Its a Minimax CU300 Smart with an 8ft sliding table. Its an amazing machine and not a project gets done with out it. Its basically a tablesaw with a scoring blade and an 8ft sliding table, shaper, mortiser, planer and thicknesser all rolled into one unit. Its not a small machine weighing in at close to 800kg’s, but the space saving is significant in a fairly small workshop when compared to separate machines. Changing between functions isnt too bad with even the most time consuming change over taking less than a minute. 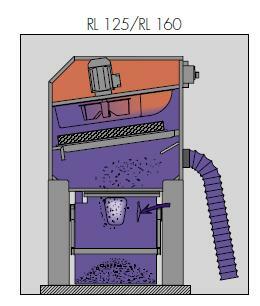 Dust collection is taken care of by a FELDER RL125 Dust collector. The main collection chamber operates in a vacuum so no dust escapes even if there is a leak. All the air coming out is filtered to remove harmful dust. 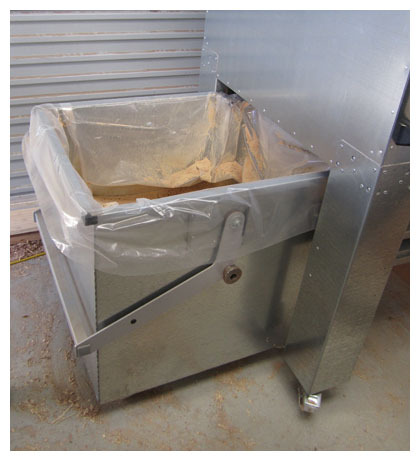 It has the best chip collection/holding I have ever seen on a dust collector. Its no slouch in the suction dept either with a 4HP single phase motor. 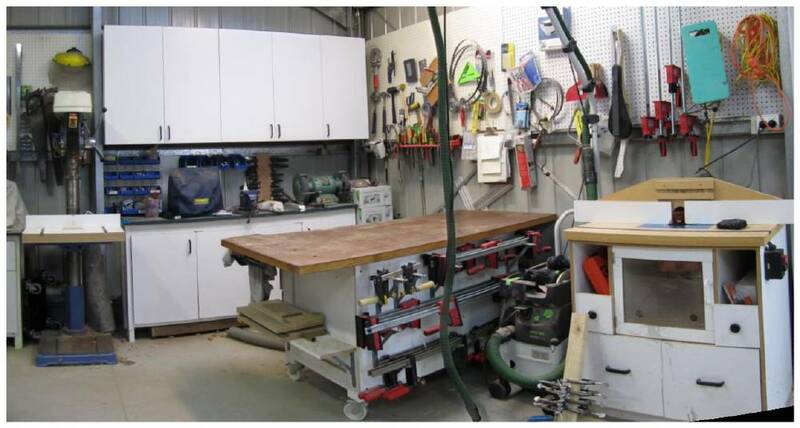 Other items you will see in the Panoramas are a Hammer Bandsaw, Performax Drum Sander, Home made Router Table, Generic Drill Press with home made table, Excalibur Scroll Saw, Metal Lathe and Wood Lathe. Love the shop tour. I am ordering a Hammer combo J/P and a Hammer bandsaw this week. Would like to know how you like your bandsaw; is it hooked to the RL-125? I just ordered an Onidea Cyclone (2hp Super Dust Gorilla) and now I’m thinking maybe I would be happier w/ the Felder. Care to share how you went from a ClearVue (in the sketch-up drawing) to the RL-125? Would like to know how you like it.